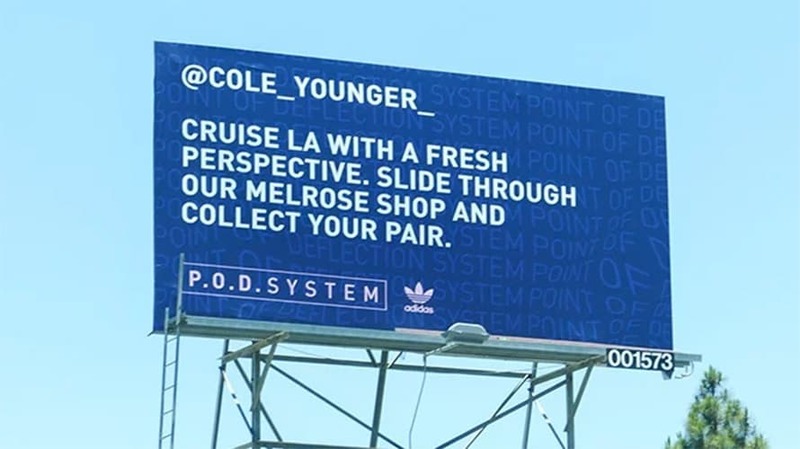 Adidas Originals targeted billboards like this one at specific influencers in L.A. and New York. 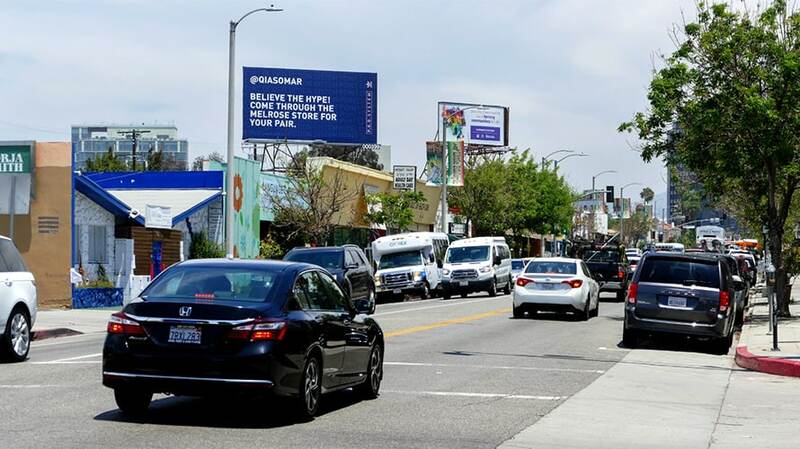 The brand worked with Clear Channel Outdoor to find 16 different billboard locations (eight in New York and eight in Los Angeles) and created personalized out-of-home ads for each influencer. 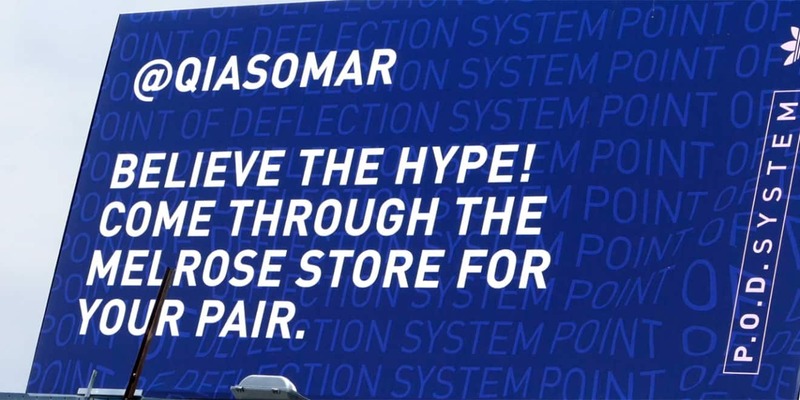 The billboards included the influencer’s Instagram handle, a tailored message for them and a vague message about stopping by a local Adidas store to pick up a pair of shoes. Adidas Originals was tired of how every brand seemed to approach working with influencers the same way, like sending product to influencers and hoping for an Instagram post. The brand wanted to do something different. Naderi-Nejad noted that the brand has pretty close relationships with each of the influencers selected for this campaign, so it was able to create some truly personalized billboards. 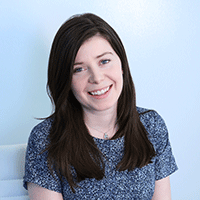 Tyler Glickman, for example, lives in New York and recently got married. Adidas made sure to include something about his wedding in his ad. The brand targeted influencers Tony Mui, Brian Alcazar, Tyler Glickman, Seth Fowler, Brandon Jenkins, Pierre Karl, Greg Williams, Sofia Change, Kalysse Anthony, Qias Omar, Jacques Slade, Cole Younger, Will Nichols, Scott Reyes, Lexis Rother and Jessica Wu for the campaign. Billboards started going up in early June. All the influencers knew that something was coming but had no idea what to expect. That meant location was key to ensure fans would actually catch a glimpse of the outdoor work. After seeing the success of the first wave of the campaign, Adidas Originals decided to expand the program in the coming weeks. There will still be billboards in Los Angeles and New York, but instead of targeting influencers, the work will call out different neighborhoods. 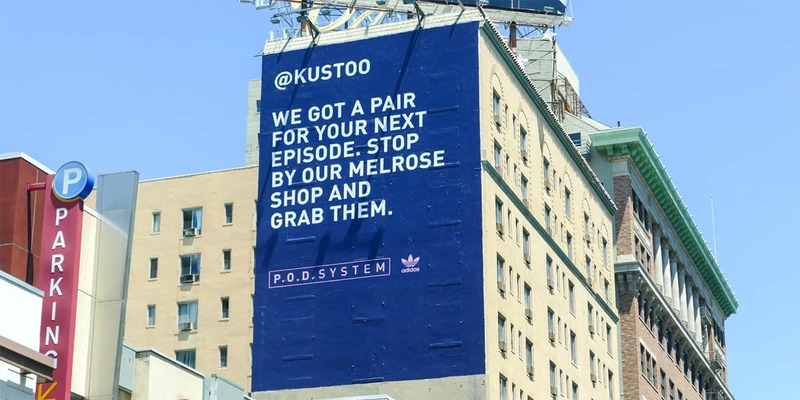 For the influencer side of the stunt, Adidas Originals plans to target a group of new social media stars in Miami, Atlanta and Chicago throughout July and August.